Remember when I mentioned the Love Bites food truck on Monday? Unlike the majority of trucks I’ve wandered up to, Love Bites is run by an African-American, Mother-Daughter duo and powered by local recipes. I had serendipitously discovered them on U Street, on Saturday, while taking my puppy for a walk; shortly thereafter, I tried my first Sweet Potato cupcake, ever– and I’m a believer. I spoke to Tima of Love Bites, today; she’s the younger half of the team behind the truck. 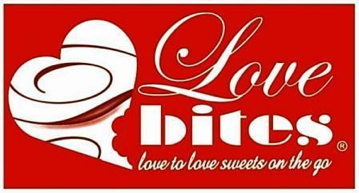 Love Bites will be at Planet Pet’s “Grand Opening Party” in Adams Morgan tomorrow, November 6th. How did Love Bites get started? We actually formed the business in April but had to go get the truck, paint it and everything. So we were established in April, but were on the road four weeks ago. My mom has been in catering and event planning for over ten years, and we always wanted to start a Mother-Daughter business together. First we were going to do cookies, but I said I loved cupcakes. I was going to different cupcake places in D.C., all the time. What happened to the cookies? Last May, I went on a business trip and saw a mobile cookie truck in Columbia, South Carolina. It was called Insomnia. They basically go to the nearby colleges and deliver late night cookies to students who are studying. They make the cookies on their truck, so when they give them to you, they are still warm. So we thought of franchising, but we wanted to do something of our own.